If you would like to be kept in the loop regarding new work or collaborations and receive invitations to forthcoming exhibitions or events, please complete the form via the link below. A rich resource of information about the artist and her practice, including selected essays written in response to Hannah's work, images from the studio, and in-depth interviews. 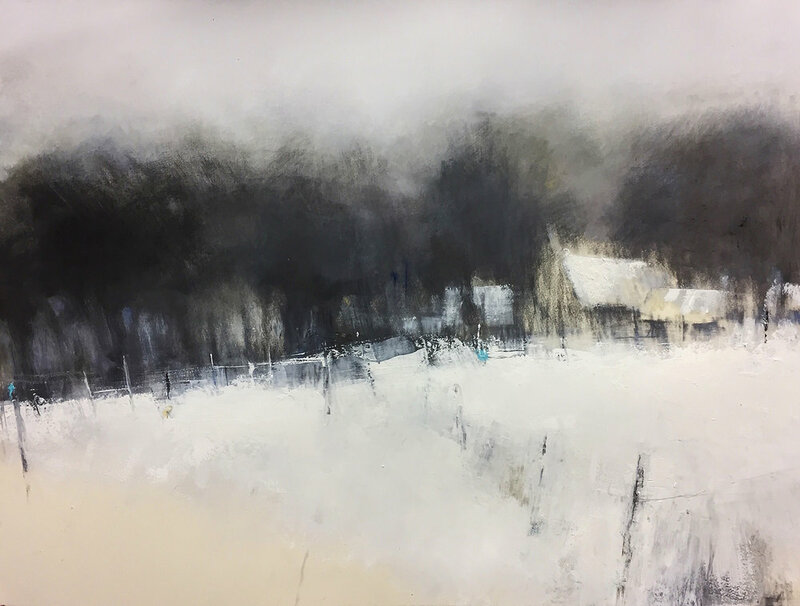 To celebrate and reflect upon the winter season, Hannah Woodman has created two Special Edition prints taken from a recent series of work. Available from 28th November'17. Hannah Woodman's complete body of work is showcased here, in a series of curated collections, from 2002 to date. "Standing alone in front of the landscape is one of my biggest joys", says Hannah, and she hopes to recreate that sense of isolated engagement in each of her paintings. Hannah Woodman is a contemporary British landscape painter. Based in Cornwall, she works from her studio on the South coast and exhibits regularly across the country. She has had a series of sell-out solo shows, and her work is held in public and private collections worldwide.